Today there was a very special visitor at Junior Assembly. 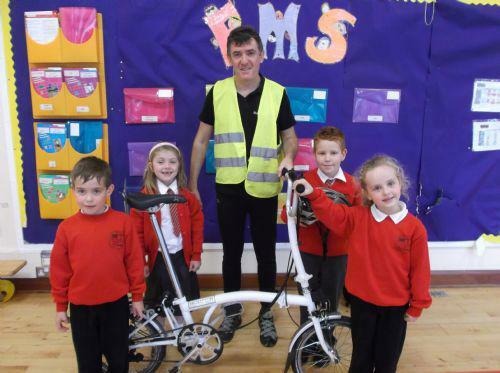 Tom from Sustrans came on his very special bike to talk to us about being fit and healthy. He showed us his bike that he uses to get around and talked to the children about the importance of staying safe on bikes. Tom will be working with the teachers and children to promote this within the school.